DEKALB COUNTY, Ga. – Georgia's Secretary of State seized possible evidence Thursday from the DeKalb County elections office, launching an investigation into possible criminal activity tied to Tuesday's vote on cityhood for LaVista Hills. Secretary of State Brian Kemp said the allegations against the DeKalb County elections office are so serious, he's called in the Georgia Bureau of Investigation to help find out if the LaVista Hills city-hood election was clean. Kemp is Georgia's top elections official and his investigators, along with the GBI, seized elections equipment and material from Tuesday's elections in DeKalb County. That included one of the memory cards from one of the precincts where voters were deciding whether to create the city of LaVista Hills - it is one of the memory cards containing election results from the precinct. The cityhood proposal lost by a mere 136 votes - less than one percent of the vote. "There were allegations that there was a part of the elections system, a memory card, that was removed," Kemp said. According to Kemp, whether someone was trying to influence the cityhood vote is not clear. "There's all kind of allegations on all sides, and those are the things that we're getting to the bottom of," he said. "And that's one of the reasons that we brought the GBI in." 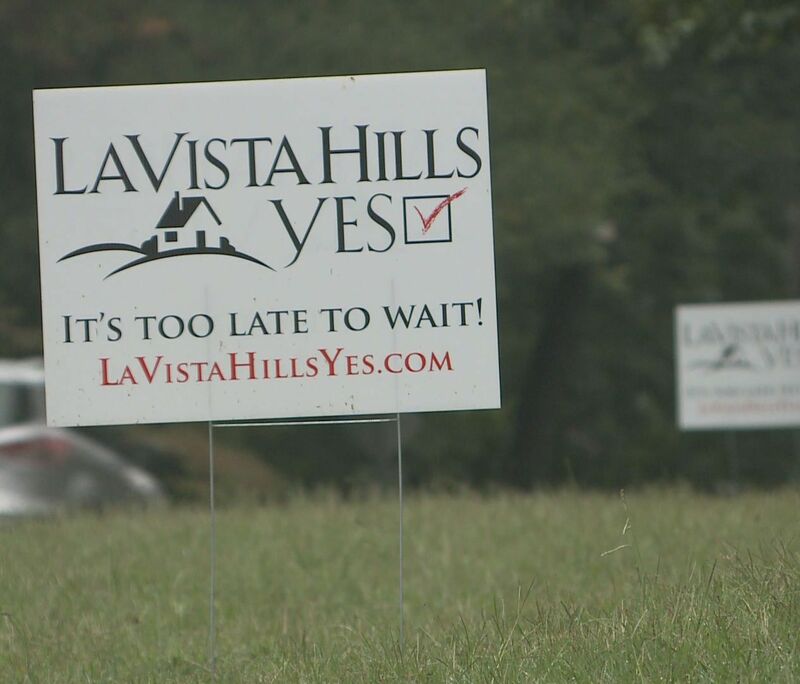 Kemp is also investigating complaints that voters who live inside the proposed city of LaVista Hills were told they were not eligible to vote. DeKalb County elections supervisor Maxine Daniels said there is nothing to the allegations, and she is certain the investigation will prove that. She said the DeKalb County elections board is expected to certify the elections results on Friday. Kemp said it's not possible now to estimate how long his investigation might take. It will ultimately be up to the state elections board to decide whether to refer the case to the state attorney general for possible prosecution.